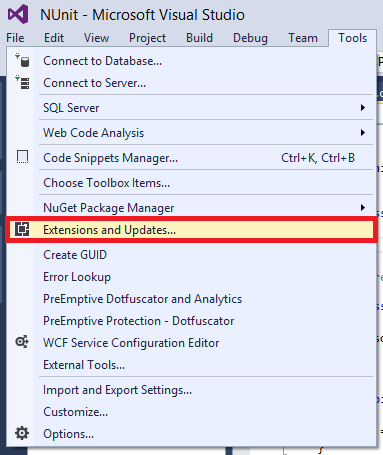 In my case I decided to go to NUnit download page page and download NUnit directly (NUnit.3.2.1.msi). 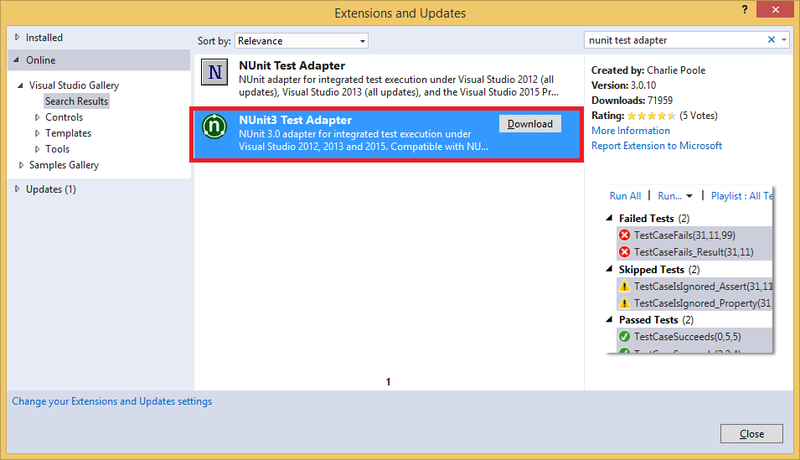 We will also need NUnit Test Adapter, in order to see our tests in test explorer. 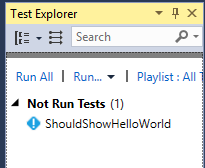 For parameterized tests I've created solution with two projects, one is console application, and second one (where my tests are actually) is class library. With that line and class attribute [Sequential] we said that our test will be executed three times where each time sumResult will be 10, 20 or 30.